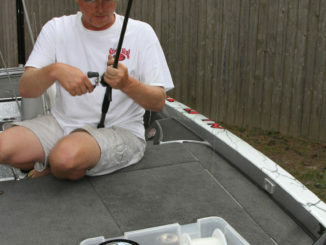 If skipping simply frustrates you — or perhaps you’re teaching kids or other beginners — don’t fret; take a page from the crappie angler’s handbook and “shoot” your baits under the cover. 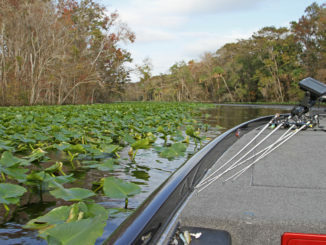 Shade, shelter and feeding opportunities; it’s no wonder bass don’t want to leave their docks. 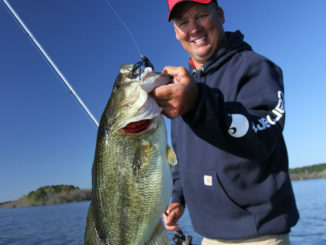 You pluck a few from the perimeters with moving baits and maybe flip a couple off those outside posts, but consistency hinges on your ability to take it to ’em. Changing line needn’t be a hassle; you simply have to control the situation. Line-stripping tools facilitate removal, but if you use the hand-wrapping method, keep your wrapped fingers spread, as relaxing them allows you to easily remove all that old line you’ve bundled. Monofilament, fluorocarbon and braided line — options are numerous, and while certain fundamentals definitely guide the decisions; there’s plenty of room for creativity and situation-specific uses. 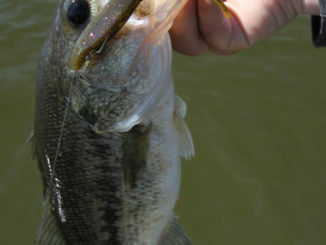 Maybe you’re trying to make a lure do something or not do something; perhaps, the habitat you’re fishing presents a concentrated set of considerations. In any case, understand that line choice can greatly impact your productivity. Despite our angling intensions, fish do what they want to do. 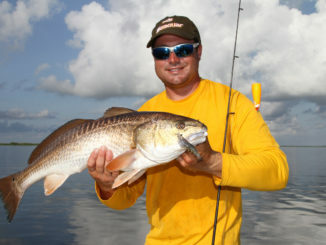 Case in point; predators — mostly redfish — actually chomping the popping cork. 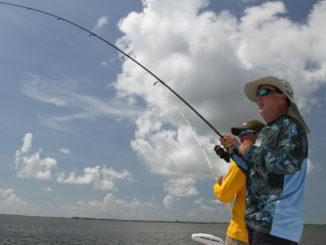 Throw your popping cork rigs on 7- to 7 1/2-foot medium-heavy spinning gear. The longer rod helps you with greater casting distance and you can achieve greater backcast clearance with the cumbersome rig. 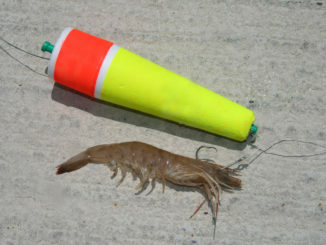 This helps prevent accidental snaggings, entanglements and any cast-killing drag. Call it trick-or-treat fishing. 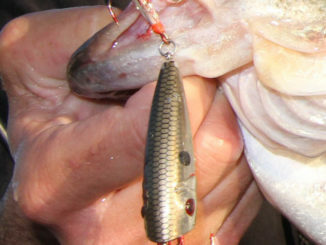 No Halloween connection here, but popping cork rigs are definitely designed to trick fish into finding a treat — one that’s actually more of a trick itself. 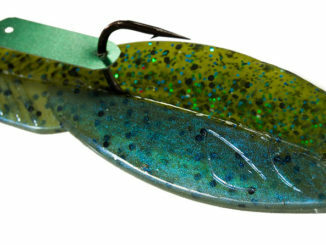 Frog baits account for some of the most-exciting strikes you’ll see in the pads. Most work well right out of the package, but a few tweaks can help sell the ruse. 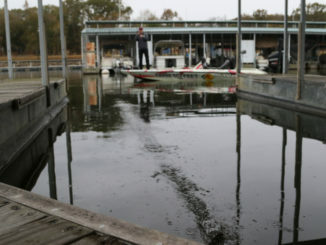 Blueback herring, those high-strung gypsies known for their notoriously unpredictable ways, can be the boon or the bane of Lake Murray fishing. No doubt, their schooling activity can produce periods of incredible opportunity; but chasing these super-charged baitfish can also become a lesson in frustration. Topwater baits inherently rely on impersonating a wounded, disoriented or otherwise vulnerable baitfish for their bass appeal. 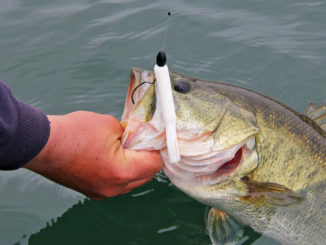 However, a little accessorizing can further advance the interest, and bass pros are quick to change the baits from their out-of-the-box look. Summertime thoughts commonly turn to beach getaways, but the sun-driven heat leaves us adding an umbrella to that picture. And while we’re on the comfort kick, how ’bout some food? 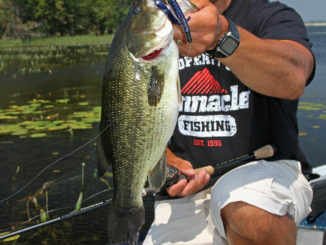 Sounds like a nice vacation, but shelter from the swelter and something for the belly also defines the attraction of lily pads for largemouth bass.